This article reviews existing narratives and perspectives to the history of Chilean disasters in order to explore dominant discourses of disaster causation. 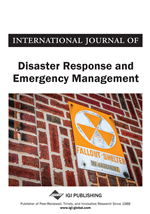 Narratives based on historical records and media archives are examined and contrasted with contemporary notions in disaster and risk studies. In doing so, relevant Chilean disasters are devised to highlight the way that such events have been understood in the context of Chile, that is, as ‘natural' disasters. Although researchers have positively underlined the Chilean performance against extreme natural events, crucial deficiencies related to socio-political tensions and regional economic disparities that create an uneven distribution of disaster impacts are discussed. The ‘naturalness' of disasters is contested since it neglects the importance of socio-economic, cultural and political pre-conditions, which are crucial for explaining the impacts of disasters; deaths, economic losses, displacements, among others. The purpose of this work is to review existing narratives and perspectives to the written history of Chilean disasters in order to explore dominant discourses of disaster causation. The ‘typical’ history of Chilean disasters, as is reviewed in the next sections through different documents, is positively highlighted by politicians, researchers, journalists, and historians. In the 2010 Maule earthquake, the media and politicians underlined the performance of institutions and society in terms of resistance to the force of nature and their responses (ARCMT et al., 2011; Galilea, 2013; Kaufmann, 2010; López Tagle & Santana Nazarit, 2011; MAE Center et al., 2010). Despite this, the evidence of the crucial deficiencies regarding the social-political tensions and the uneven distribution of disaster impacts in Chile are often ignored, even though most of them are related to economic disparities among differentiated social groups and regions. These include: the authority’s inadequate coordination in emergency response and preparedness to attend people’s need (Navia, 2010), especially with effected remote localities (MAE Center et al., 2010); the weak and late response of the government about the tsunami alarm in 2010 —a political decision that cost the life of one-third of the total death toll on 27 February (Kaufmann, 2010)— and the lack of redundancy in transport and communication systems “The earthquake caused a blackout that affected the 93 percent of the entire population and lasted for several days in some locations” (MAE Center et al., 2010, p. 4). Thus, this review suggests that the ‘typical’ or dominant narrative on Chilean history present certain incongruities with recent disaster events perspectives. According to Kaufmann (2010) and University of Pennsylvania (2010), recent deficiencies in disaster preparedness revealed other profound issues in Chile. For instance, scenes of theft, looting and arson widely covered by media during the first days following the disaster of the 2010 Maule earthquake, are a “potent reminder of the potentially explosive socio-economic tensions inherent in an unequal society”, as assert Kaufmann (2010, p. 4)1. Likewise, MAE Center et al. (2010) argue that pre-existing conditions such as regional-economy disparities and political tensions between regions, stressed by the uneven concentration of population, power and resources, have contributed to the uneven impact of disasters in Chile, especially affecting the poor but significantly those whom are more isolated and disconnected from centres of power, population and resources. Other researchers such as Pulgar Pinaud (2014a) and Vidal and Romero (2010) have also underlined the determinant role that socio-economic and political contexts of modern Chile play in shaping vulnerability to disasters. In this regard, this article discusses that the dominant narrative and ‘typical’ history of Chilean disasters (outlined through governmental documents, media archives and other official sources included in this study) have often ignored the importance of socio-economic and political pre-conditions of disasters, and which are explained here as determinant factors for disaster causation (Wisner et al., 2004; Bankoff et al., 2006; Hewitt, 1983).